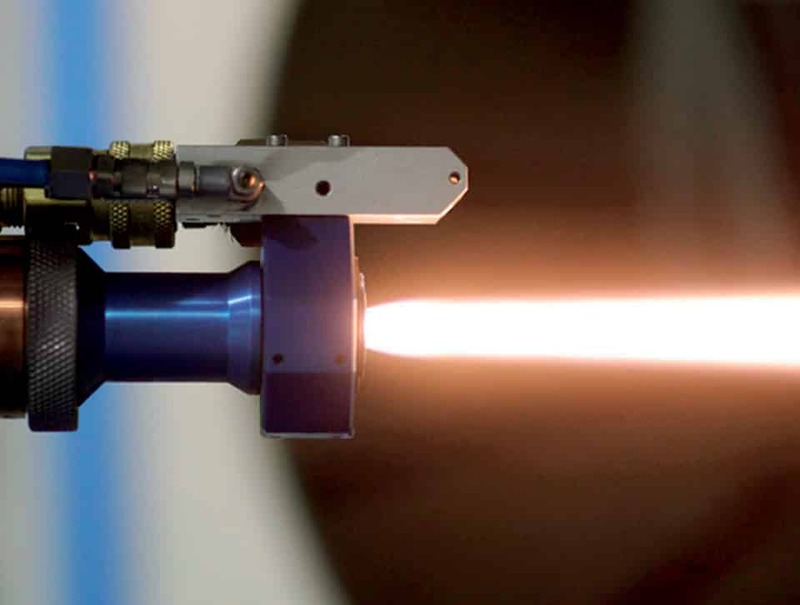 Thermal Sprayed covers allow us to apply very high fusion points, without elevating the component’s temperature. commonly found in high temperature coatings. 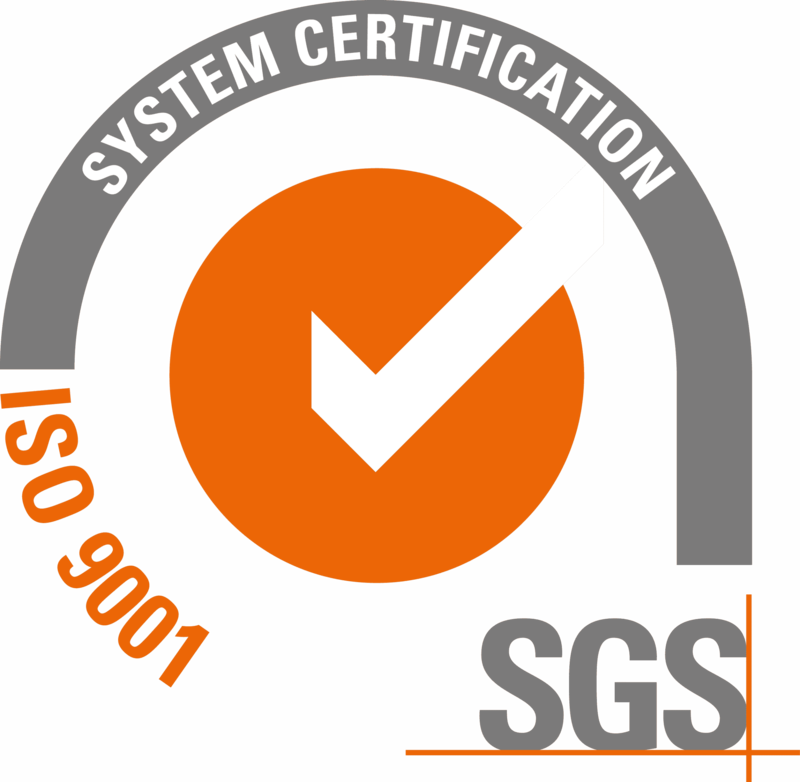 The combination of the level of our technical team, the reliability of our equipment and the expertise in the main applications in the most important industrial sectors make Tecno-Caucho one of the best option in order to improve the features of your equipment and the productivity of your business. If the Rollers and Presses in your production processes have any wear or corrosion problems or you want to enhance the quality and durability of the surfaces, we encourage you to contact our Technical Department, and allow us to assess you and offer the best technical solution. This technology allows us to apply coatings with very high fusion points, without raising the temperature of the components, which provides some exceptional qualities. Strainer, guide, trailing, fluted, dryer and cutting rollers. Calender, corana, cooling and cutting rollers. Calender, supercalender, size press, suction press rolls, dryer cylinders, winding rolls, pope rolls and guide Rollers. Slitting valves, axis, pistons, sleeves and mechanical locking. Bypass valves, heat exchangers, turbine axis, hydroelectric turbines, carbons seals. Return, tracking, furnace, flange, pot, tensioning and work rollers. Compressor rod, mechanical seals, sleeves, ring seals. Compression and fan blades, airfoils, central compressor, outlet seals, turbine blades. Turbine axis, combustion lines, sealing and fan segments. Etched, applicator and print rollers, offset cylinders. Returning, elevator and lehr rollers, discharge table and float. Substitute for electrolytic chrome, guide, countepressure, discharge and glue rollers. that in addition to improving its mechanical and physical properties, thus improving its wear resistance, also contribute to the environment well- being by minimizing the amount and hazard of the generated residue. 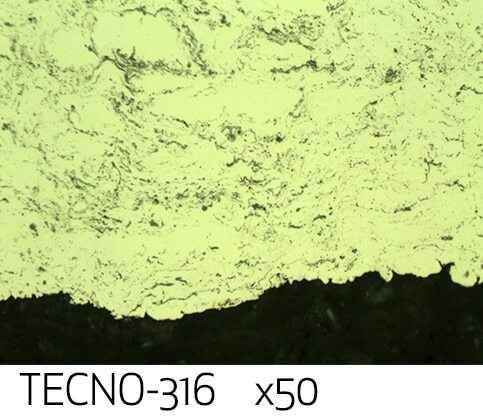 The HVOF coatings applied by Tecno Caucho Thermal Spray Division is created with the idea to offer the best technical and economical solution to the main wear issues by corrosion, abrasion and friction, even at high temperatures. Miniwear Tungsten Carbide 1.250 > 74 > 750 1 max. 4,1 550 Excellent abrasion and impact wear resistance. Maxitrac Tungsten Carbide 1.200 > 74 > 750 1,5 max. 4,1 550 Good wear resistance, good coefficient of friction. Maxiden Tungsten Carbide 1.300 > 74 > 750 0,5 max. 4,3 570 Very good abrasion wear resistance. Excellent compression resistance. Maxihard Tungsten Carbide 1.300 > 74 > 750 0,75 max. 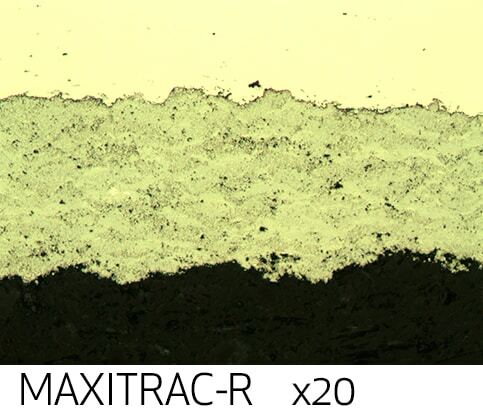 4,3 620 Excellent abrasion and impact wear resistance in corrosive environments. 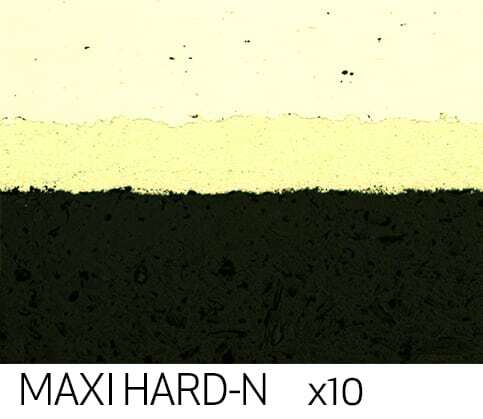 Maxihard-N Tungsten Carbide 1.300 > 74 > 750 0,5 max. 4,3 620 Excellent wear resistance in corrosive environments. Applications with super finishes. Tecno-Pres Tungsten Carbide 1.350 > 74 > 750 0,5 max. 4,3 620 Excellent compression resistance. Tecno-Hard Tungsten Carbide 1.250 > 74 > 750 1 max. 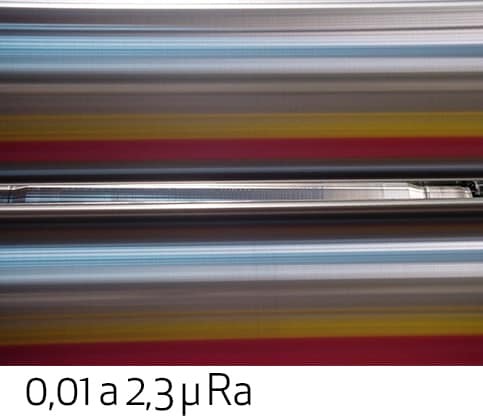 4,7 620 Excellent sliding and impact wear resistance in corrosive environments. 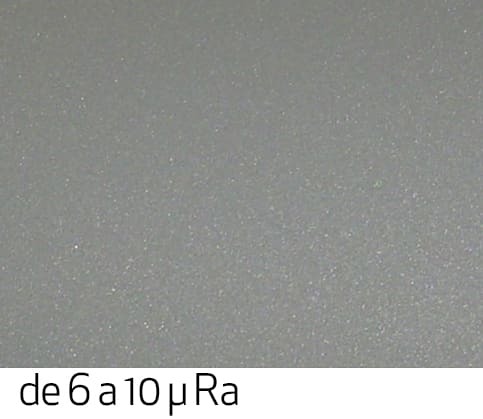 Tecno-Tem Chromium Carbide 700 60 > 750 1,5 max. 6,4 760 Excellent abrasion and impact wear resistance at high temperatures. Supertem Chromium Carbide 775 63 > 750 1,5 max. 5,6 815 Excellent sliding and impact wear resistance. 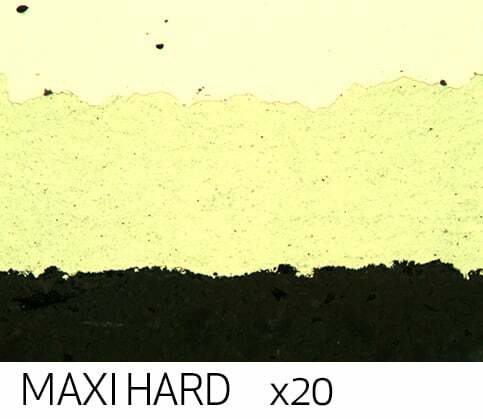 Maxitem Chromium Carbide + Cobalt 750 62 > 750 1,5 max. 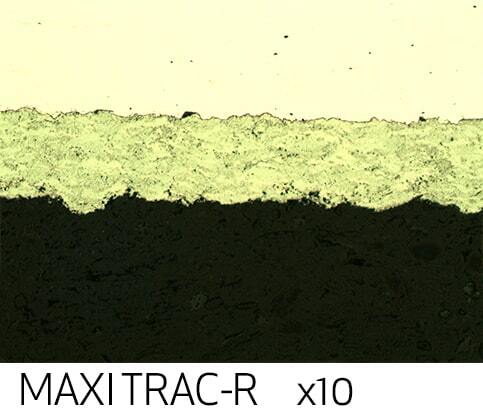 8,2 1.000 Excellent wear and erosion resistance at high temperatures. Lowcor Nickel-based alignment 520 50 > 750 1 max. na na Excellent wear, corrosion and oxidation resistance at high temperatures and in water. Tecno-316 AISI-316 370 37 750 1,5 max. na na Stainless Steel with the highest resistance to corrosion in aqueous mediums. 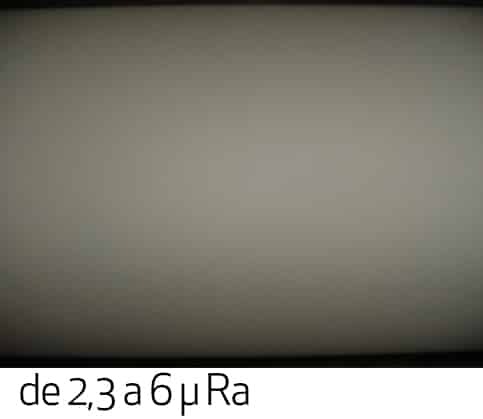 Tecno-420 AISI-420 470 47 750 1,5 max. na na Stainless Steel for general repairs. Good wear and corrosion resistance. 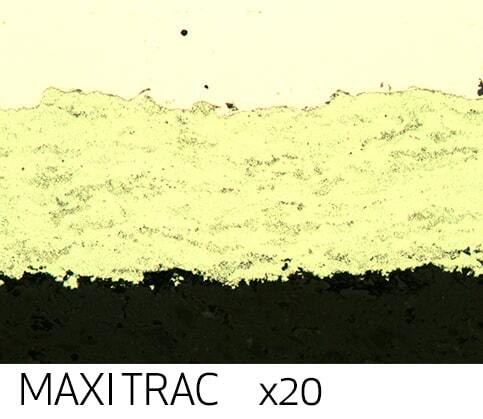 Tecno-22C Hastelloy C22 480 48 > 750 1 max. na na Excellent corrosion resistance in reducing medias. 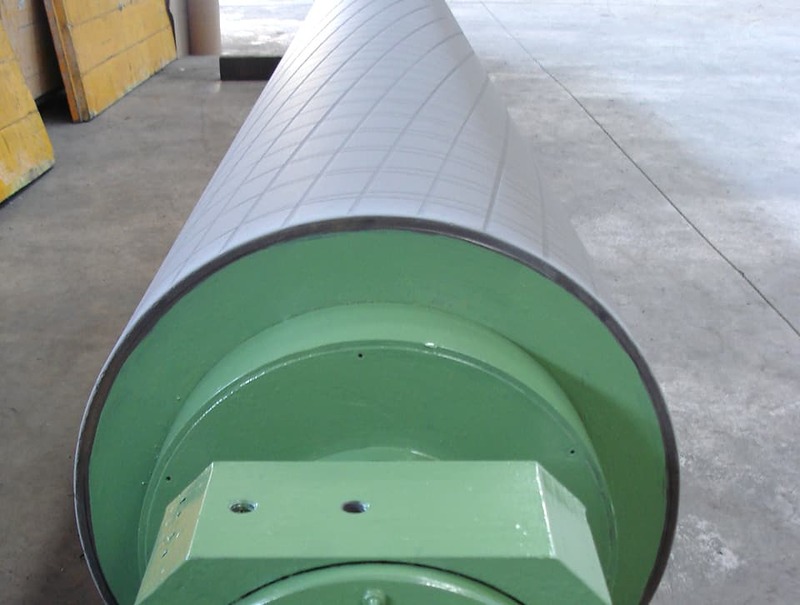 In Tecno Caucho Rolls & Covers we have the best qualified team and equipment to perform grinding, texturing, polishing and super-finishing operations for coatings of all components and rollers we manufacture, which guarantees the maximum quality and reliability.